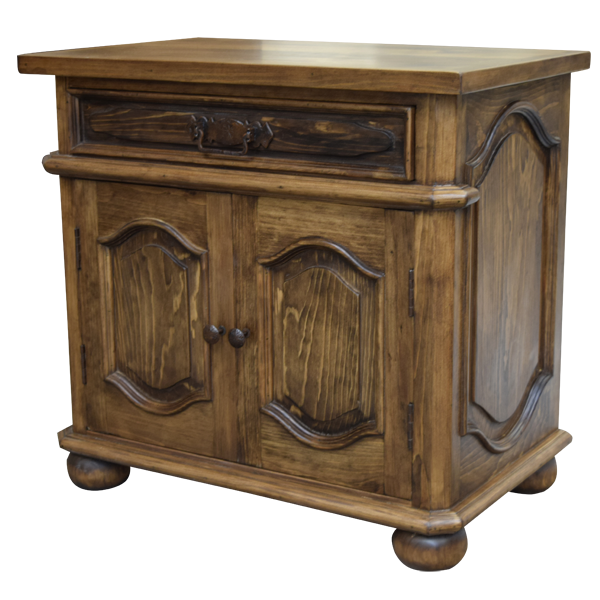 The light colored finish on this Spanish colonial style, handcrafted end table enhances the furniture´s beautiful, wood grain. 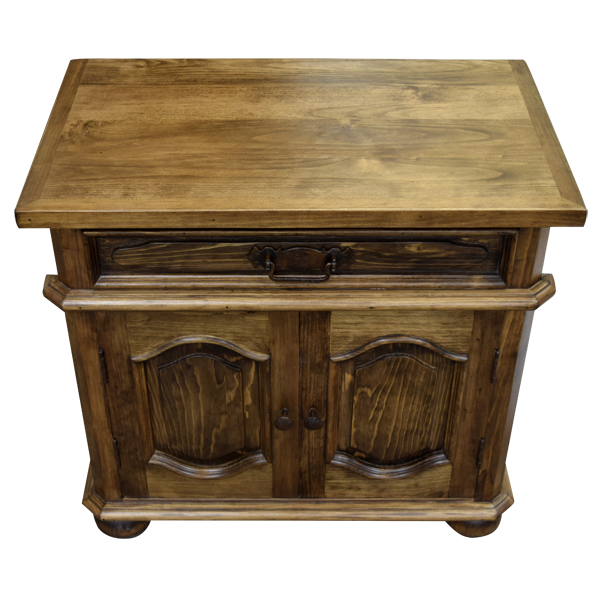 The lovely, finished, end table top is spacious and it is very practical for placing important personal objects. Directly below the top is a rectangular drawer, and centered in the drawer is a hand forged, iron handle made by our skilled craftsmen. 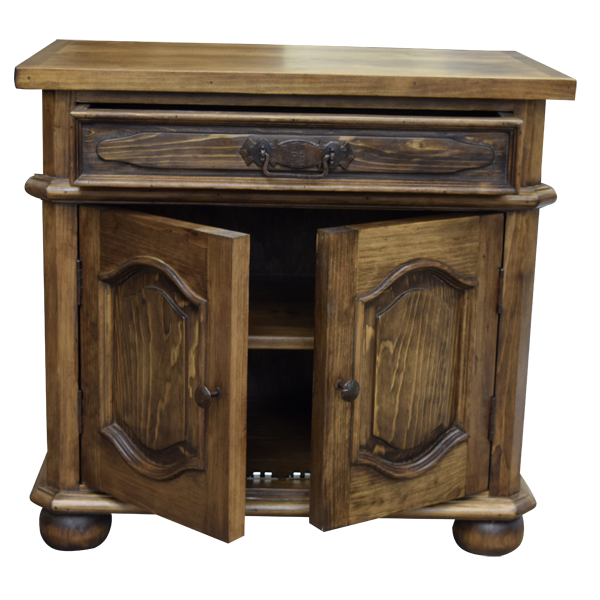 This custom end table features two arched, cabinet doors, with an inside shelf for storage. Each door panel is adorned with a hand forged, iron, pull handle. 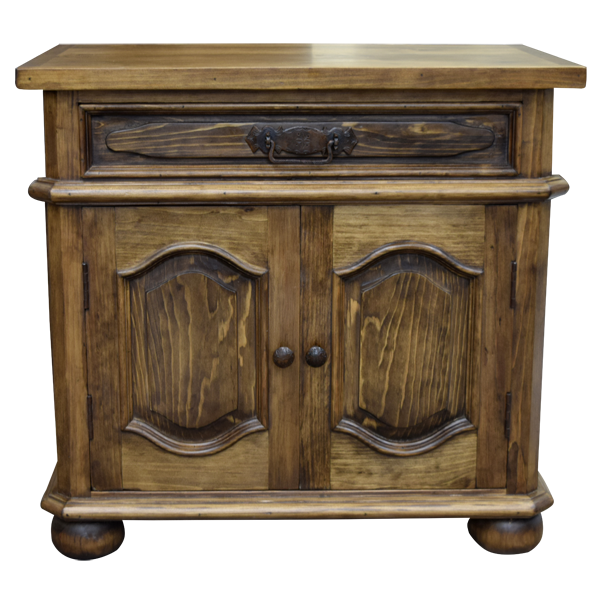 This custom furniture has a decorative, wood panel on each side, and the end table rest on hand turned, bun style feet. This durable, custom furniture is made with the best, sustainable, solid wood available, and it is 100% customizable.